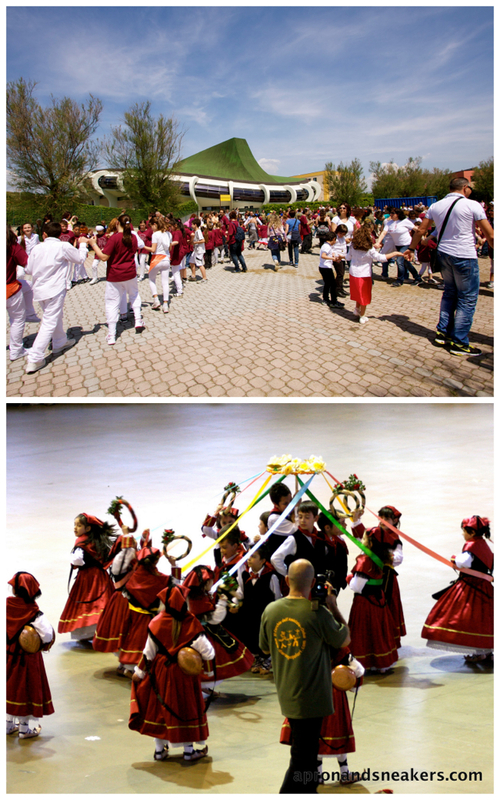 There we were, among hundreds of adults in the stands with some toddlers and infants, while hundreds of kids in colorful costumes were in the arena, coming from different schools from the outskirts of Rome and other towns guesting for the Roman school dance festival. 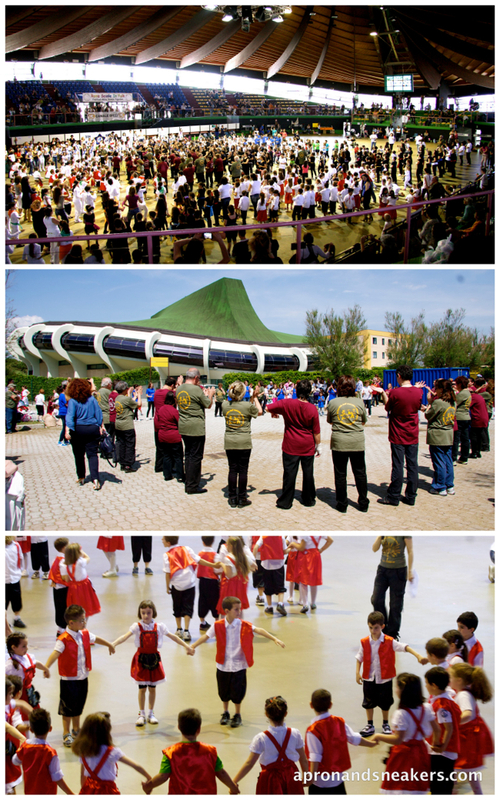 These kids had been practicing their dances for months that even my son, who had grown up disliking anything that entails movement of the hips, arms and legs, was transformed into a dancing machine after too much practicing. And I was happy to witness this wonderful transformation through the lens of my camera. Sitting at the stands for hours was not my ideal way of spending my whole morning, after waking up extra early to prepare to go out and be punctual in arriving at the gate of the stadium. But we came prepared like all the other parents who were there to watch their kids. Every single parent had a camera, video camera or telephone in hand, a knapsack full of panini and pizza ripiena (stuffed pizza with ham & cheese) and heavy eyelids. We all had one aim that morning. We came to watch the dances that they have been working on for months and to give them parental support. As I sat there for 4 straight hours with my husband and 2 year-old daughter, I had the time to contemplate. I wondered how it was like in the eyes of our son. This was his first big event outside his school and I wondered what kind of emotions were running up and down inside him. He should be overwhelmed with the size of the stadium and the number of people around him. I was curious if our presence boosted his confidence in setting out in the middle of the arena and dance. This train of thoughts also led to my own school days when I was in Elementary School. I lingered on the memories of searching for my mother among the hundreds of spectators whenever we have our annual school presentations. I always regress to being a small child dependently connected to parental support because I needed it to boost my flailing confidence. I am not a stage gal type. I was the kind of person who would rather stay at the back of the stage and do the props. My Mom never missed a single event, enduring the heat and the waiting, always alone for me and my other three siblings. My father was a pilot so he was an absentee father. He had never been present in any school event, including graduations, even the time I came out to this world. He was always in the sky, working and doing what he loves most. I never bore any grudges about these absences. My mother did an exemplary job of filling up his empty seat. You know how reflections jump from one thought bubble to another. Another musing that lingered in my mind was about the kids whose parents couldn't make it to see them. I have seen faces of disappointment and tears of sadness both when I was a kid and and as a parent in my son's classes. I always felt bad for them and wished that I won't ever face what they were going through. Now that I am a parent myself, I make sure that I am there to hold my child's hand to give him words of encouragement and to congratulate him on a job well done. 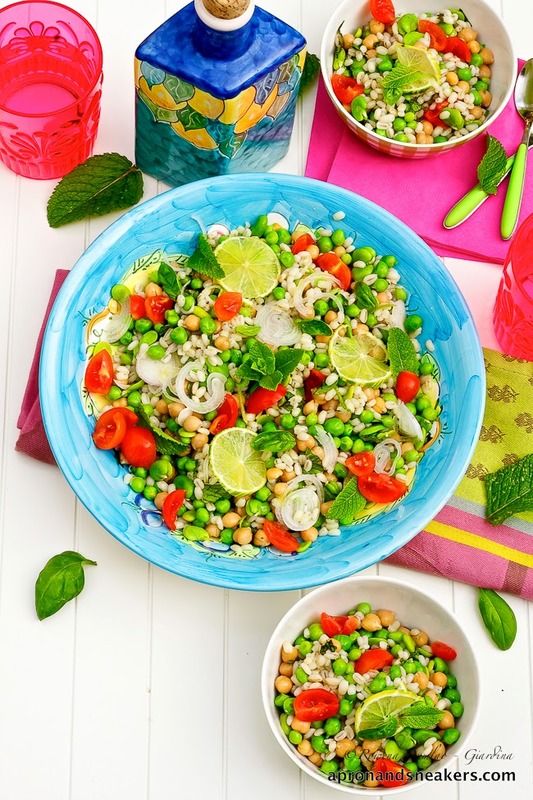 Here is a very simple and fresh spring salad to enjoy while the peas and fava beans are still in season. 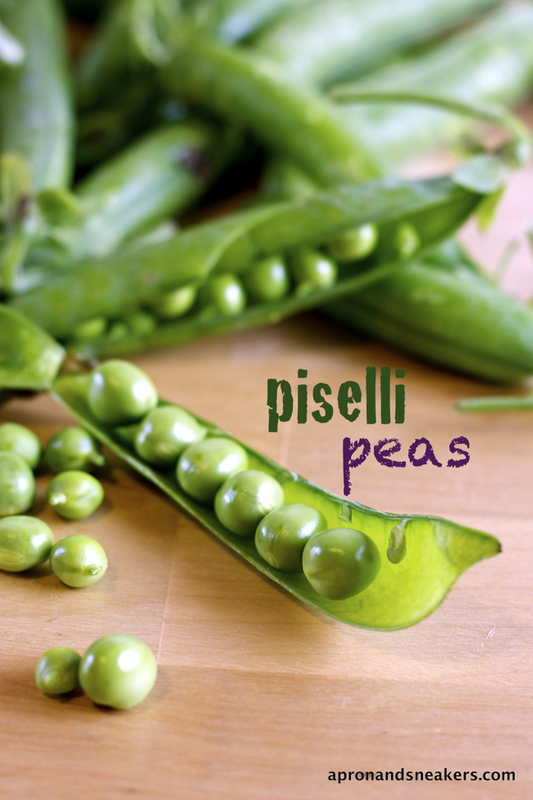 When I came home from the market with bags of fresh produce, I couldn't help start shelling the peas and fava beans. They were so fresh and sweet that I had to concoct a salad dish using these two fresh ingredients. I haven't cooked anything with orzo (barley) lately so I made sure I had those three as the main ingredients. 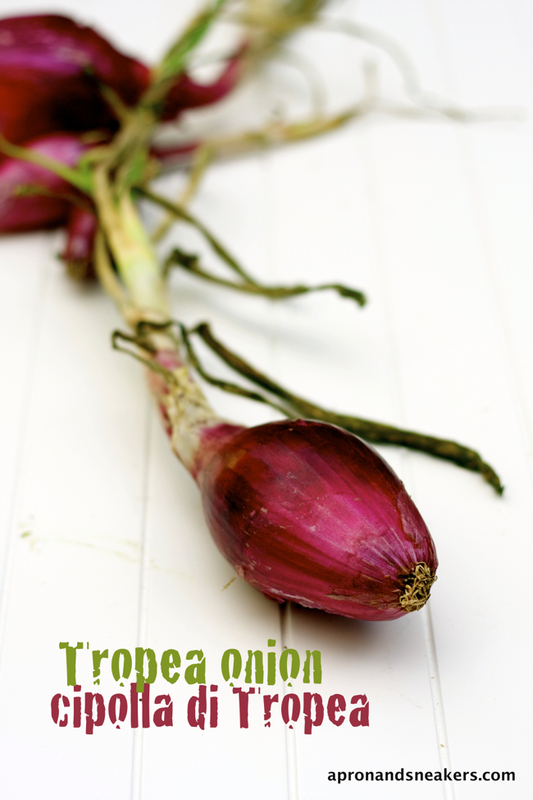 Along with my vegetable purchases, I also found some Tropea onions. They are these elongated, red and very mild onions produced in Calabria, the southern part of Italy. The most famous town that grows them is Tropea, also known for its beautiful beaches and historical center. I think they are the best onions I have ever tried in my life. They are very mild that they are very good in salads and marmalades, among other things. Oh, and they didn't make me cry when I was slicing them. I hope you enjoy this simple dish. Please don't forget to scroll down to find out about the giveaway. 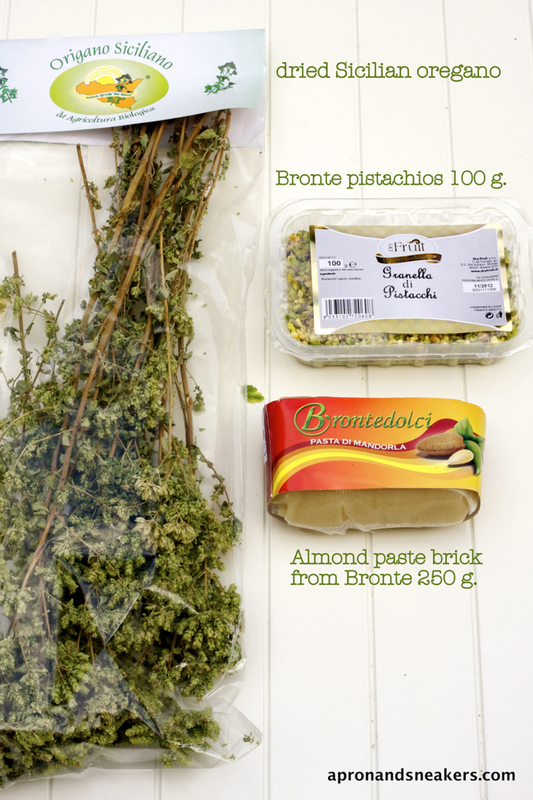 Like what I promised in my Facebook the other day, I bought a pack of Bronte pistachios, a brick of almond paste and a pack of dried oregano to give away. I recently discovered this Sicilian gastronomical shop close to where I live (No need to go to Sicily to replenish my stocks!) after I went on a mission to look for Bronte pistachios to fill up my cupboard again. I have been preparing a lot of dishes using these three ingredients that I thought you would like to have them too and see for yourself why I like them so much. "Like" Apron and Sneakers Facebook page. Leave a comment in this post saying which recipe I did that you like the most and stating that you are a new or old follower of Apron and Sneakers (Facebook). This giveaway finishes on Sunday, 3 June 2012 at 12 Midnight, Rome Time (GMT +2). Refer to the clock I have on my sidebar to see the local Rome time. 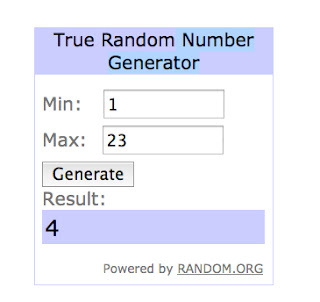 I will be using random.org to select one winner. I will be posting the name of the winner in the post after June 3. This is my first giveaway so I am quite excited to do this. Good luck! 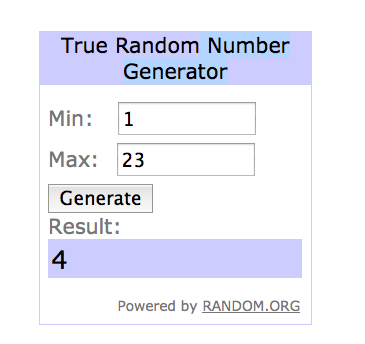 The Winner of the Giveaway is #4, Sandra. Congratulations! Sandra, please email me your complete address. Thanks! Thank you everyone for participating! It had been a pleasure doing this. Prepare 2 saucepans with water. In one saucepan, add the pearl barley and salt then bring to a boil over medium to high heat. When it boils, simmer on low fire for 20 minutes or until they are tender. When they are cooked, rinse under the tap, drain and set aside. Bring the other saucepan to a boil over high heat then add some salt. Drop the peas and cook for 3 minutes. After 3 minutes, strain them then drop them in a bowl of iced water for an ice bath. Let them cool down, strain then set aside. In the same saucepan of boiling salted water, cook the fava beans for 3 minutes, strain and drop them in the bowl of iced water for an ice bath. Strain when they have cooled down. Remove the outer skin by pinching the beans lightly. Set the beans aside. 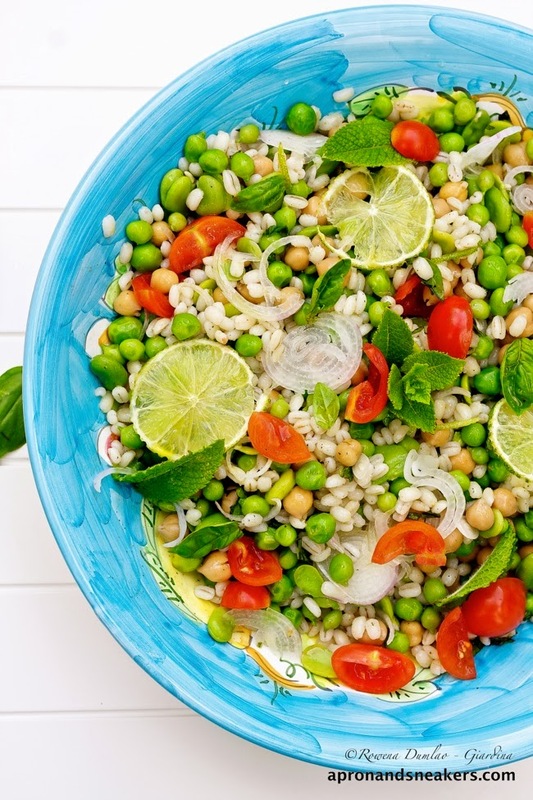 In a big serving bowl, mix the peas, fava beans, barley, tomatoes, chickpeas, onion, mint and basil. To make the dressing, in a small bowl, mix the extra virgin olive oil, lime or lemon juice, salt and pepper. Pour the dressing on the salad before serving. After 5 minutes, strain them then drop them in the bowl of ice to stop the cooking. When they are cold, strain then transfer to another bowl. 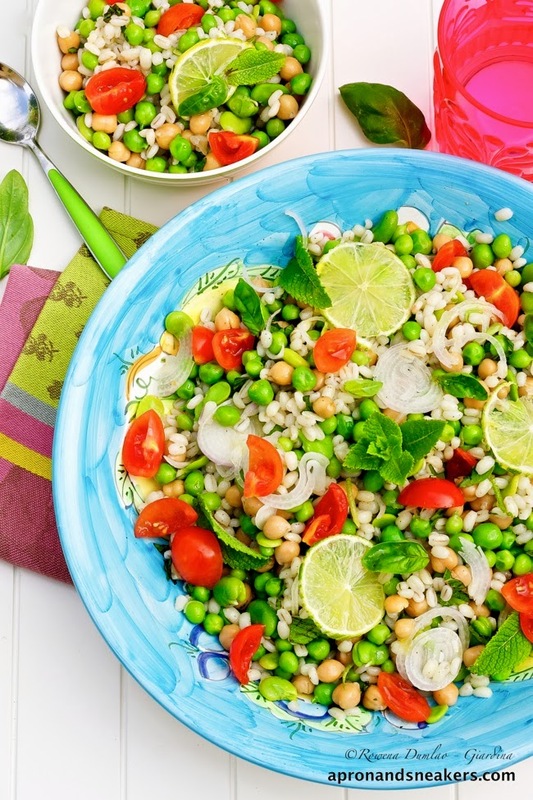 - See more at: http://www.apronandsneakers.com/2013/04/spring-green-vegetable-salad-with.html#sthash.7SgtVyoY.dpufthe fava beans. Cook the peas for 10 minutes and the fava beans for 5 minutes. When the fava beans are cooked, let them cool a bit until you can handle them then slide the skin away from the inner seed. Set aside the inner seeds.